Monique R. Johnson received her Bachelors and Masters Degrees from Temple University in Music Education. She studied violin with Larry Grika, Yumi Scott, and Lisa-Beth and conducting with Luis Biava, former Conductor in Residence of the Philadelphia Orchestra. She served as a member of the Educational Advisory Council of the Philadelphia Orchestra and interned at the Philadelphia Orchestra Library under former Principal Librarian Clinton Nieweg. 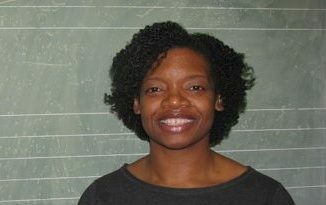 Ms. Johnson has performed as a substitute violinist with the Delaware Symphony Orchestra. She was also a member of the Settlement Music School Music Education Outreach String Quintet. She was a member of the TSOP Orchestra during the filming and performance of the PBS Special “The Love Train, The Sound of Philadelphia,” which featured the O’Jays, the late Teddy Pendegrass, The Stylistics, The Delphonics, and the Three Degrees. Ms. Johnson served as a member of the string orchestra that accompanied Dionne Warwick at the Rehoboth Jazz Festival.